Every inbound marketer knows the importance of blogging. It’s part of the attraction phase, meant to help you draw more qualified traffic to your website, and with strategically placed calls-to-actions, that traffic will convert into leads. That’s the ideal scenario and the one that most of us strive for. But is that a reality? For some, yes. But for others, likely not. And for most, I’d venture a guess and say that there is always room for improvement. In today’s post we’re going to discuss how you can further optimize your blogging efforts to see much higher results. Specifically, we’re going to talk about why you should turn your B2B blog into a PubHub. 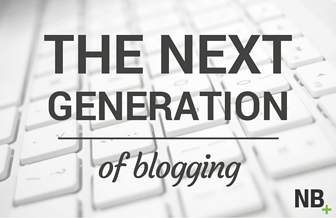 “PubHub” is a term we use here at New Breed to refer to the next generation blog. Essentially, a PubHub transform your current blogging platform into your very own publication hub. Think of them as an amplified version of your standard B2B blog. And they pair perfectly with your inbound marketing and sales strategy. As you know, inbound marketing is about educating through content, with the goal of your content strategy being to align that content with what your ideal customers are looking for. We have found that with many B2B companies, who have multiple personas making up their target audience, it was getting increasingly more difficult to generate the amount of content they need to and in order to be able to deliver that content in a meaningful and organized way. Your audience is made up multiple types of people looking for all sorts of information. Sure, you have a keyword strategy that helps you narrow your direction, but you’re still churning out content that focuses on a variety of topics your audience is looking for. Unlike the traditional blog, where a reader would need to sort through one long scroll of posts trying to find topics that resonated with them, a PubHub takes your content and separates it based on the type of content they’re interested in. By separating that information into sections, your blog quickly becomes your platform for producing the amount of high-quality, relevant content you need to, but enables you to align it perfectly with your different personas. It basically turns your organization into a publication company. Think about the New York Times. Or CNN. Or Fast Company. What do all those organizations have in common? Sure, they produce a TON of content. But what we’re interested in is the fact that they have all become the trusted resource for millions of people to consume content that is meaningful to them. Publication companies like the New York Times, know this about their readers and have built their websites in a way that delivers their content to reflect their buyers’ needs. It isn’t much different for the readers of your own B2B blog. They’re likely coming for one of the reasons mentioned above, and as such it’s important to structure your blog in a way that makes it easy to navigate with clear paths for readers to follow to discover the information they’re searching for. Which is exactly why we created the PubHub. The PubHub turns your organization into a publishing company, housing all of your content under one platform, with clearly identified conversion paths for your visitors to take. What can a PubHub do for your organization? It’s a proven fact that business who blog generate more leads. In fact, B2B marketers who blog generate 67% more leads than those who don’t. But to get more leads, you also have to be driving more traffic. However, we strongly believe that generating traffic isn’t the same as generating the right traffic. When you’re attracting people to your content, you want to make sure it’s the people you actually want as customers, or really, what’s the point? A PubHub helps you attract more qualified traffic by leveraging a content strategy that is directly targeted to your ideal customers. Which I’m sure you already know, inbound marketing and sales are only as successful as the strategy that goes behind it. Sure you can run the inbound playbook, but if you’re not doing it strategically, you’re not going to see results that grow your business. The foundation of that strategy is built on your buyer personas (or your ideal customers). With clearly defined buyer personas, you are able to a.) identify their pain points and b.) build a content (and in this case blogging) strategy that revolves around solving those pain points. With a PubHub, you have the ability to structure your blog so that it does just that. It’s organized in a way that maps directly back to the needs and wants of your personas. So rather than coming to your blog and searching through your archives or categories trying to find the information they’re looking for, with a PubHub, all that content is right there. You’ve customized it so that you are aligning your posts and articles with each of your different buyer personas. While generating traffic to your B2B blog is certainly part of the goal, it’s not everything. Traffic is great and all, but if those folks aren’t converting into leads, you aren’t giving yourself the opportunity to nurture them into customers. PubHubs are specifically designed with this in mind. Because they are designed around your personas, we also leverage what we call conversion paths, which are clear outlines as to how we want visitors to move through the site, ultimately resulting in them filling out a form and becoming a lead. When your qualified traffic converts into quality leads, your inbound sales team has a much better chance of closing them into customers. Most B2B companies have more than one persona - New Breed for example has 4. When you’re juggling multiple personas, you either have to produce a TON of content (and by a ton, I really mean a ton) to market to all of them, or you have to be okay with the fact that when some of your ideal customers come to your blog, they’re just not going to see the content they’re looking for. In our opinion, neither of those are the ideal option. Which is why the PubHub is a game changer. Instead of worrying about losing an ideal customer because your latest blog post was targeted at a different persona, you can market to all of your personas at once, and on one platform. It makes content production less of a headache and drives higher quality conversions because your readers are finding what they are looking for. Part of your online content strategy must revolve around search - that’s just a given. If you want to be found by people who aren’t familiar with your brand, it’s important that you spend some time in your planning phase to find terms that your ideal customers are searching for. Once you do, you can weave those into your content and blogging strategy to help your company rank higher in search engines. Because when you rank higher in search, especially for targeted keywords, you’re attracting net new leads (who are most likely highly qualified since you’ve thought about the words you’re using to get found) to your blog and setting them up to convert. We’ve talked a lot about conversions in this blog post, but we wanted to hammer it home with this last point. When you’re thinking about redesigning your blog, you can’t just think about it in terms of how it looks - the colors, the font, the imagery, the branding, etc. What you need to focus on is how it converts your traffic into leads. Because the PubHub is separated into different sections and topic areas, and designed with conversion paths, you are funneling your traffic into specific places on your blog where you know they will first read content that is relevant and then have an opportunity to convert. The PubHub also helps you track those conversions so you can see what is working, what may need improvement and even better, what personas are generating the highest amount of leads. From there, you can work with your sales team and determine the optimal way to capitalize on these conversions and turn these leads into happy customers. Are you thinking of redesigning your blog? Ready to explore how a PubHub can help you grow your business? Get in touch and we will show you how!